Little, Brown and Company, 9780316293839, 400pp. Rise the dark. These were the last words written in Lauren Novak's notebook before she was murdered in a strange Florida village. They've never meant anything to the police or to her husband, investigator Markus Novak. Now the man he believes killed her is out of prison, and draws Markus to the place he's avoided for so long: the lonely road where his wife was shot to death beneath the cypress trees and Spanish moss in a town called Cassadaga. In Red Lodge, Montana, a senseless act of vandalism shuts the lights off in the town where Sabrina Baldwin is still trying to adjust to a new home and mourning the loss of her brother, who was a high voltage linesman just like her husband, Jay. 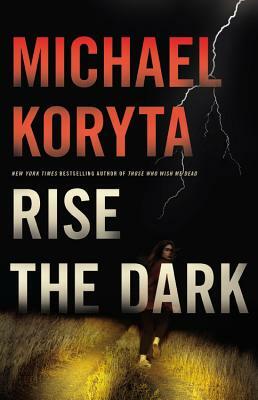 As the spring's final snowstorm calls Jay deeper into the mountains, chasing the destruction on the electrical grid, Sabrina is abducted by Garland Webb, the man Markus Novak believes killed his wife. Drawing them all together is a messianic villain who understands that you can never outpace your past. You can only rise against the future.